I can get the updated Hopscotch to work. 1. 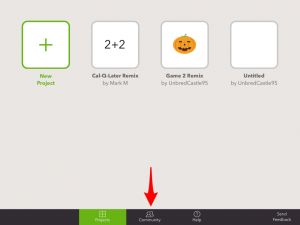 Download a shared project from mail. Tap the icon that says (projectname).hopscotch and hit ‘Hopscotch’. 2. Let it download sideways, and it will tell you what’s new. Press done. 3. Press the back arrow in the upper left corner. On the bottom of the screen, choose ‘community’. 4. Choose a project you are interested in and press ▶️ (Play). 5. 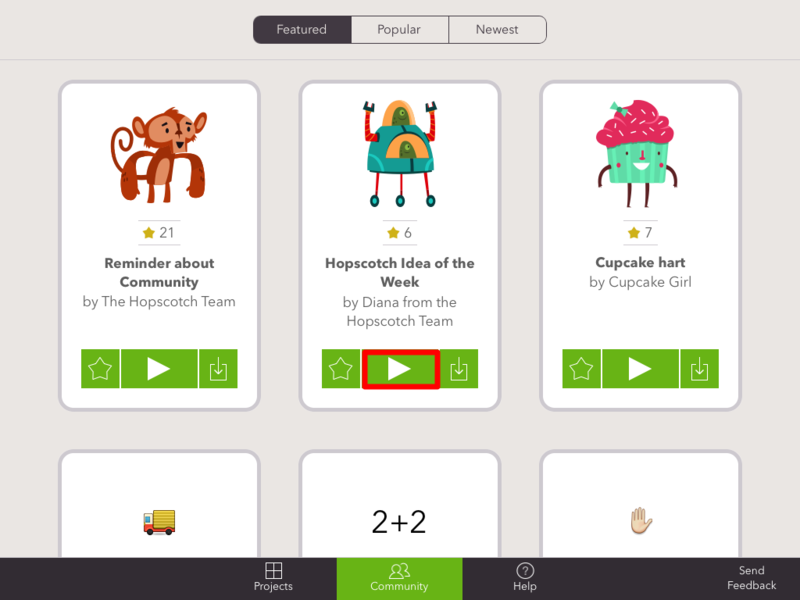 Your Hopscotch screen should have changed back to normal, and you can press X in the upper right hand corner. 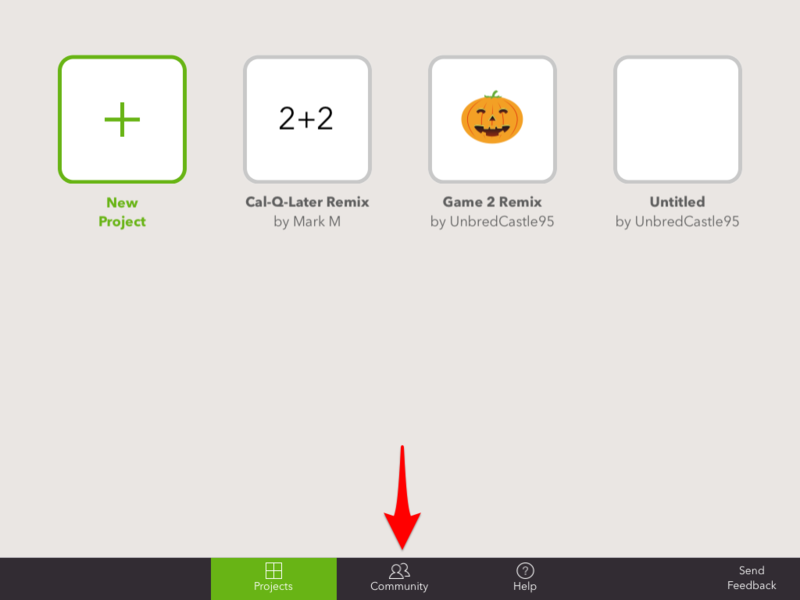 Choose ‘Projects’ Tab to go back to your own projects. 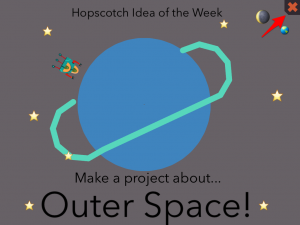 This entry was posted in Pro Tip and tagged coding, fix, hopscotch, solution, troubleshooting, update by msmarcotte. Bookmark the permalink.